To order a printed copy of the Explore Walking and Trekking brochure, simply click the Request button below. Explore Walking and Trekking provide you with some of the most enchanting and exhilarating adventure holidays around. Order the brochure today to discover all they have to offer! Whether you're new to walking holidays, a casual hiker or a seasonal trekker you'll be sure to find plenty of expertly planned walks and treks to choose from. Travel to beautiful, breathtaking locations throughout Asia or wander through the mesmerising landscapes of Greece, Morocco and Italy. Whatever you choose, it'll be the trip of a lifetime. 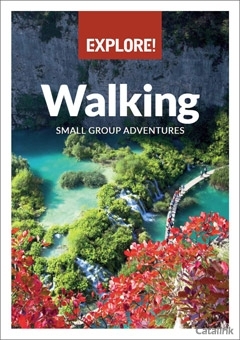 Order the Explore Walking and Trekking brochure today for an adventure trip you're sure to remember! By pressing the Request Printed Brochure button you give consent to Explore Walking and Trekking (and their Data Processors for the specific purpose of delivering your literature) to send you their Brochure .